Vitakem can manufacture your private label organic supplements according to the highest quality and to your exact specifications. The organic supplement market has never been more profitable and by using our GMP contract manufacturing services, you can be sure that your company will have the best chance of success in this lucrative, yet competitive market. Whether you’re a startup company or an established brand we have the services that will bring your private label organic supplements line into the marketplace as quickly as possible. 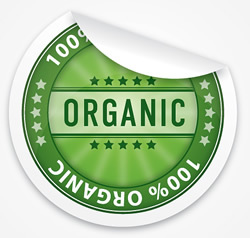 We source only the highest quality certified organic ingredients so that you can rest be assured that your customers are getting the best organic supplements available. Fast Turnaround: We can take your organic supplement from conception to production quickly as well as make sure your inventory is well stocked. NSF Certification: We are fully certified GMP contract manufacturers, which ensures that your private label organic supplements are safe. Excellent Customer Service: We pride ourselves on putting customers first while striving to earn their business. Competitive Pricing: Because of our savvy sourcing and management, we can work within your budget and offer great manufacturing prices. FDA Compliant Labeling: We can make sure your product meets all of the government’s regulations to prevent delays and ensure viability. Whether you decide to use one of our stock formulations for your private label organic supplements or your own custom formulation, Vitakem can handle your entire contract manufacturing needs. Contact us today for your free quote or to learn more about our private label organic supplement manufacturing services.